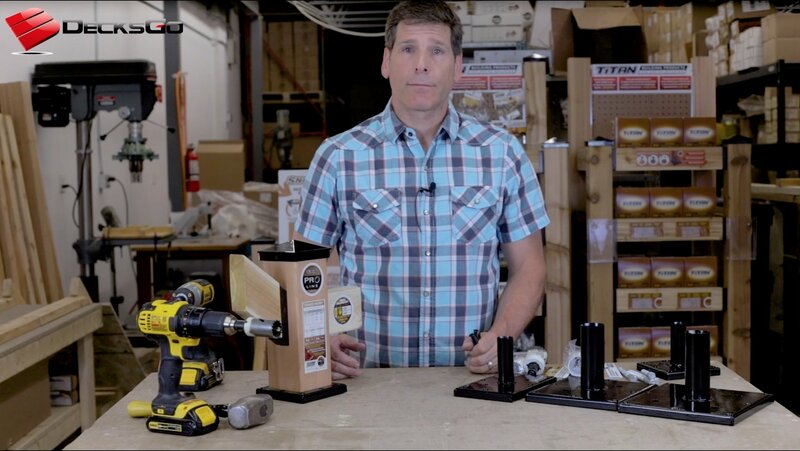 There is much more to framing a deck than cutting and banging a bunch of joists together. Yes, many inexperienced builders will do just that. 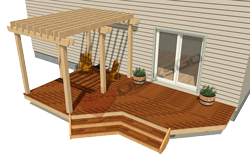 However, if you are serious about building and designing a beautiful deck that will dazzle your family,friends or clients, raise your work above the crowd and save you money then continue to read this article. You will learn how to size up the underlying structure of a deck so that you never have to rip a single expensive composite board. This means reducing wasted material to almost zero and a decking surface that looks like it would in the show room. Oh yeah, and it means more profit on each job. Richard Barnett is based in Ottawa, Illinois and has twenty years of experience building beautiful decks that make any home shine. He is also a highly experienced general contractor specializing in custom home building and renovations of all kinds. A true professional and a perfectionist. 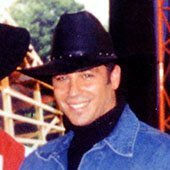 I’ve been building decks professionally since 1995. Back then I decided to specialize in them. The stigma about deck construction at that time was that they were easy; something given to the apprentice to jam in and get done. And today, you can see jobs that were built with that mind set. But for something so apparently easy to build, there were far more poorly constructed decks that probably lost value on the house then there were those which added value. 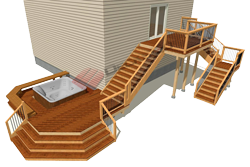 So I decided to concentrate on designing and constructing backyard decks. Among all the projects that I have built, a well designed and built deck seems to make people’s lives tangibly better. It’s out in the open for all to see. Maybe next time I’ll write about what you need to design a real beauty properly. But today, this article is about saving money, and reducing the waste of expensive composite decking material and making a better profit margin. The first time I built with composite material, I used Trex. So that is the brand I will refer to even though there are other great products on the market today. At the end of that first job, I looked at the back of my pick-up and all I saw was a massive pile of cut offs and ripped boards that probably weighed half a ton. My entrepreneurial / contractor mind kicked in and I automatically started to compute the waste into dollars. Not only was I throwing away expensive material, I was also paying for the disposal of the waste. The deck had ripped boards on it. From a cost perspective this had to be eliminated. From a homeowner’s view point, we could still give them a showroom surface – with just a bit more time spent on planning the deck framing. 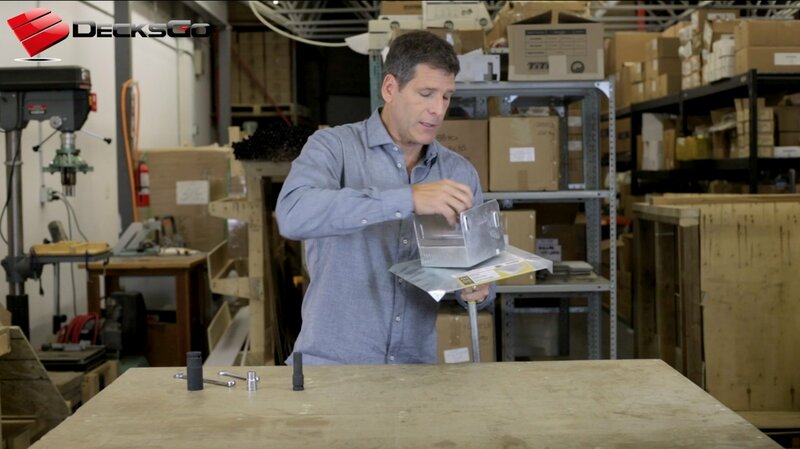 Take advantage of the exact consistency of Trex or any composite material. 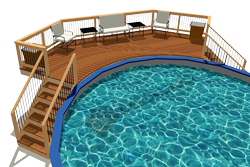 This gives the advantage of planning and calculating the total surface area of the final deck including spacing. I like to picture frame composite decks especially since the material is mostly a capped product now and the ends show differently. The picture frame usually consists of 2 rows of the same color and with a combined width of 11-3/4” allows posts to fit completely within that two board picture frame. I like to coordinate the picture frame boards with the post color. A deck that is nominally 14’ deep (out from the house) will actually have a surface depth of 166 -1/2”. This is 1-1/2” less than a full 14’ (168”). This distance accounts for 29 boards (5.5”) and 28 spaces (1/4”) between the infield boards. 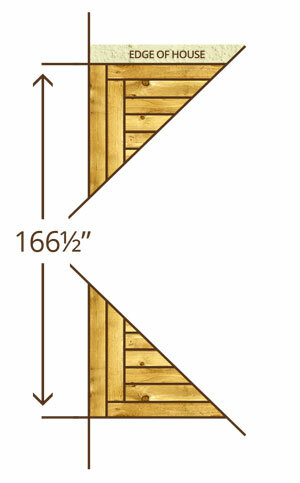 So you would frame the deck at 164 ¾ “deep including the ledger for a 14’ deep deck. Whenever possible use nominal lengths in your design. 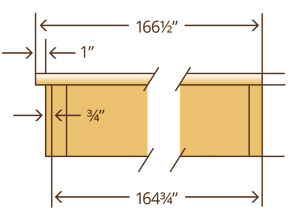 It will cost you about $74.00 more to make a deck 16’ wide as opposed to 14’ wide . The cost allows for one more joist, hanger, time, and 28 hidden fasteners. On a common 14’ depth this is an additional 56 SF. 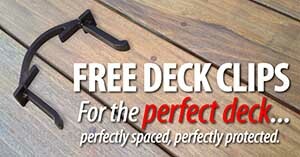 No ripping is required as you increase the length of the deck. You are just cutting the boards to length. Why Not Minimize End Cuts? So if you buy Trex in 16’ lengths use that as the length for the infield decking and then add appropriate spacing and four courses of picture framing. 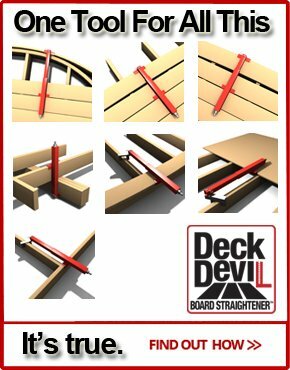 Here is how we calculate the deck surface length. 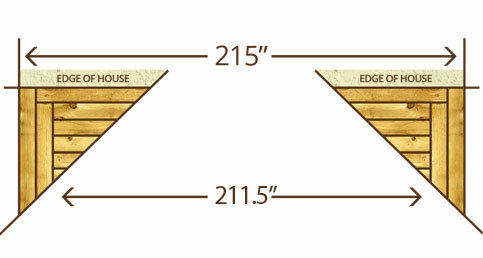 The total deck surface length is 215”. Is All This Calculating Going To Be Worth It? As you saw earlier, it gets a bit tricky when you try and maximize your efficiency with deck framing in an effort to eliminate ripping boards. 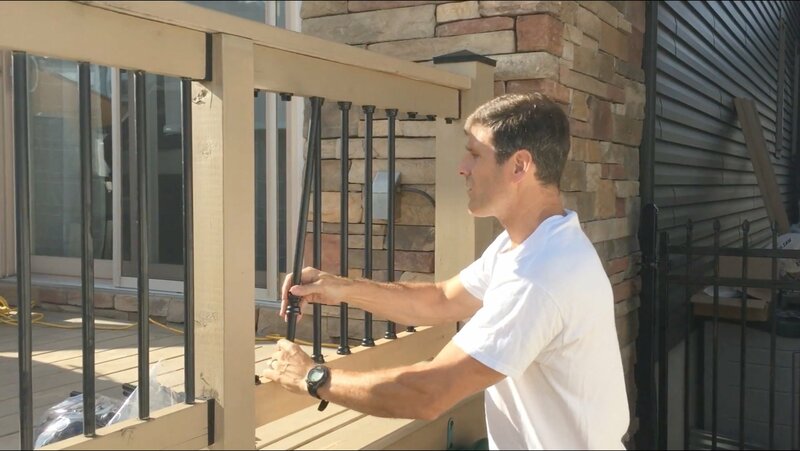 You can add one more element of complexity when trying to assess the framing dimensions with the standard 68” composite railing lengths. In a perfect world you would have zero wasted railing material and this can really add to your savings. 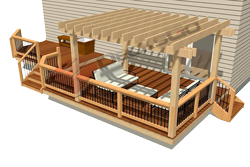 But here is another area of deck framing where you can really minimize the waste and cost that comes when you install composite railing sections that are less than the typical 68” length. Imagine not thinking about this at all and wasting two feet per railing pocket or section? Ouch! So here is the take away points to remember when it comes to railings. And there is math to calculate the framing outer dimensions so that you have zero waste. 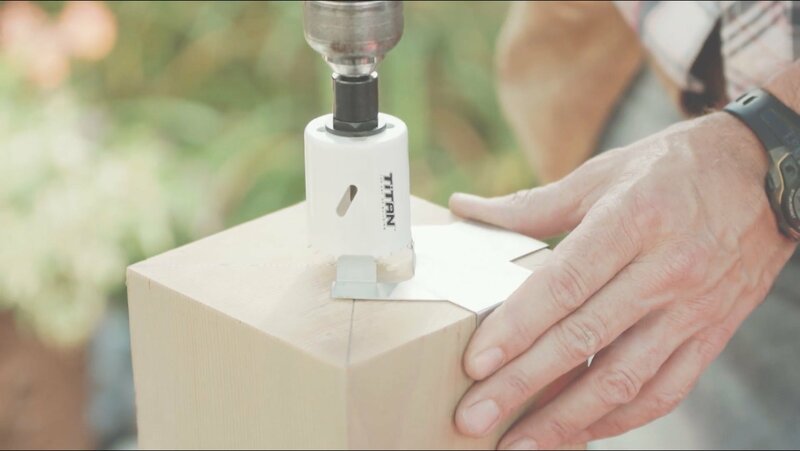 But then you usually end up ripping boards to fit that optimal dimension. 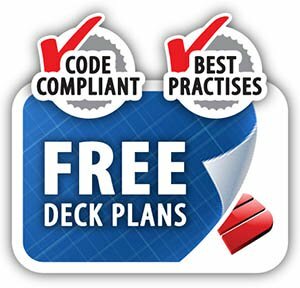 So a safe Rule of Thumb to keep in mind are multiples of 6’ when you are estimating general lengths and depths of a deck. This will at least keep you fairly close and keep your railing waste to a minimum if you are not prepared to do exact calculations. And remember, when the deck is all finished, ripped decking tends to be more visible because of its asymmetrical appearance to all the other boards then railing spaces between posts that are slightly less then the standard 68” gap. One final word of warning. Not all composite decking is 5.5” wide. There are some variations from one manufacturer to the next. Keep this in mind when doing your calculations. Richard Barnett is an active builder and owns and operates Barnett Construction and Barnett Decks. Richard has a degree in Physics from Northern Illinois University. 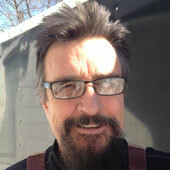 To contact Richard see his profile in our builder database. If you would like to be a featured builder like Richard, contact us and let us know.